There are many people out there that are seeking auto insurance but have a very low income. Meaning, they cannot afford the on-going increases of car insurance costs. These people find it very hard to locate the most affordable auto insurance prices for the coverage that they require. However they do indeed have a number of options. One option is contacting a range of the top insurance companies and comparing their best quotes. As these are the companies at the top of the insurance industry they often have the scale and procedures in place to provide cheaper insurance plans for those that have a low income. The common assumption is that those who are poor have to go uninsured; however this is far from the case. There is one big way to find affordable auto insurance and that is by filling out a free rate comparison. This enables you to get a range of quotes without the trouble of getting in of contact to all the insurance companies separately and you get to save by purchasing a cheaper car insurance policy after comparing quotes. Affordable auto insurance can also be found very effectively by using the internet and in particular using insurance comparison websites that have the main goal of finding affordable auto insurance. 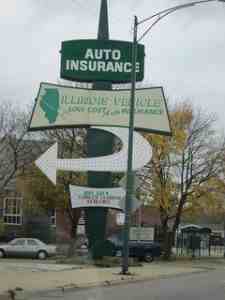 This can be a great and cost effective way of find affordable auto insurance. However it is important to read the small print carefully and make sure there isn't any terms or clauses in the contract of individual companies that you don't understand. There is the common notion that insurance companies are just out to bleed you dry and insurance companies that cater for the poorer and lower income individuals simply do not exist. We are here to tell you that that is completely false. If you are looking for affordable auto insurance, there are a number of companies that specialise in this time of insurance. Some of them include but are not restricted to Infinity, Western United, Western General and Explorer among many others. All of the ones that are mentioned provide exceptional value for people that do not have that much money and need a basic cheap car insurance to drive. They enable you to still have your vehicle fully insured without paying a high premium. There is also something else that many low income individuals are not aware of that could help getting affordable insurance. This is called a low cost auto insurance program. The most popular is the California low cost program, but there are others in different states. This type of program is usually provided by the state. It has the goal of reducing the number of uninsured drivers who are on the road that can't afford to get full coverage because of their acute lack of disposable income. So there is significant help out there, all you need to do is go and obtain it. Overall, there are many things that low income individuals can do in order to get affordable auto insurance. The biggest thing they can do is to contact the budget insurance companies directly for a quote. Another thing they can do is use the Internet and in particular insurance comparison sites to find the best deal. Additionally they can talk to friends and family of a similar income bracket to them and find out where they got insured in order to source the best deal. Finally, they can turn to the state and apply for the low cost auto insurance program. If in doubt or need more information, speak to your state Bureau of Motor Insurance or Department of Insurance.